It's pretty straightforward, actually. The available options are aptly named, finding your device is the default action, the remaining buttons to Ring, Lock and Erase your device are easy to manage. 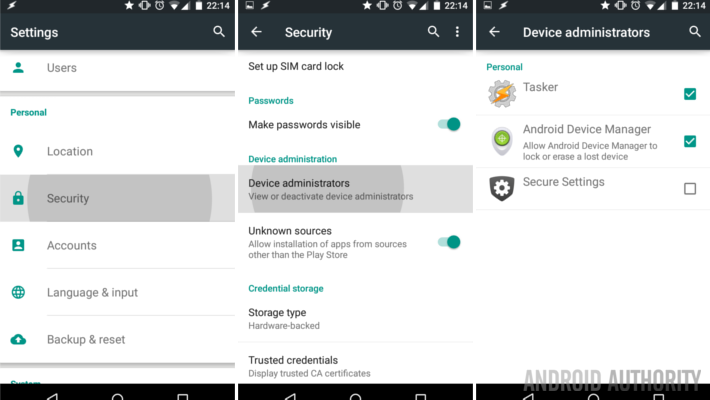 Again, locating your device is simple stuff, with the app and service running on your device, simply log into the Android Device Manager website. Find that link in the settings of the Google Play Store on the web. If your device location does not immediately display, tap that GPS crosshairs icon to ping your device. This gives you a location within a dozen meters or so, but at least you'll know if you your phone is at home, work, in your car, or at school. To narrow things down even further, utilize the Ring function to make your device make some noise. This is the tool you need if you are about to tear your own home apart looking for that little phone. Lock is the kind of tool you would use when you are pretty sure you will recover your device, but not sure exactly when or who has their hands on it right now. As you see in the tutorial, provide a new password and all your data is safe. Finally, Erase. This is the big times here folks. Do not hit erase unless you are certain you want all data on your device wiped for good. Erase simply triggers a factory reset, if you are familiar with what that does. In short, this is the tool you use when there is nothing left to do but say good bye to your missing unit. Warning. I said this in the tutorial, I'll say again, Lock and Erase do not clear the data from your external microSD card. You will want to have used a program like Airdroid or have a kill switch built into Tasker to clear your data from the card. 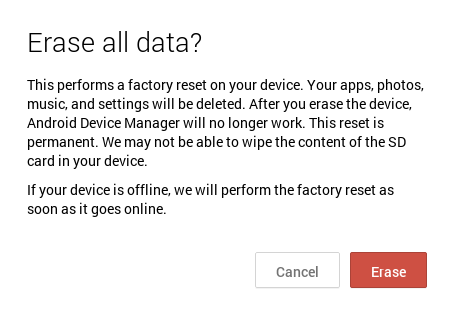 Don't forget to clear the card before firing the Android Device Manager Erase command from above. In addition, the features above require that your phone be both powered on and connected to the internet. Or at least to eventually power on and connect, at which time the commands will push through. That's really all there is to it folks. Android Device Manger is almost the only tool you'll need to recover your missing Android device. There are certainly more comprehensive tools available, but with the latest versions of Android, you are almost certain to have Android Device Manger installed and ready to roll. 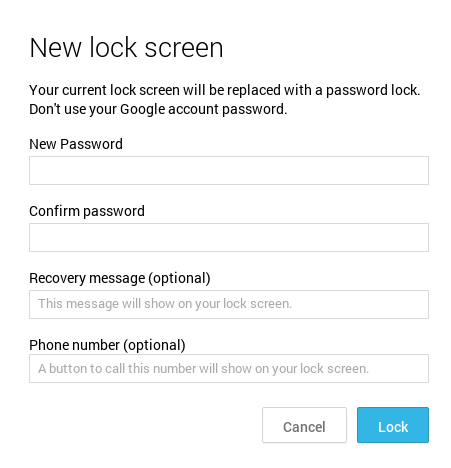 Have you ever recovered a missing device using Android Device Manager or a similar tool? What's up, this weekend is fastidious in support of me, since this moment I am reading this great informative article here at my home. View it now: Times Are Changing: How To Lock Files New Skills.